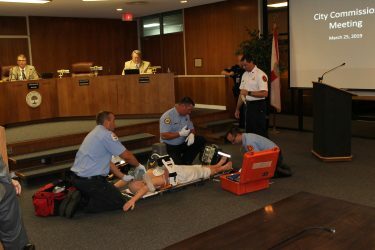 Winter Haven Firefighters now have a machine called the LUCAS 3.1 Machine (or Lucas Chest Compression System). LUCAS stands for Lund University Cardiopulmonary Assist System. The LUCAS Machine not only allows for consistent compressions at a rate of 102 compressions per minute, but also relieves the medic when chest compressions are critical as a patient is in cardiac arrest. 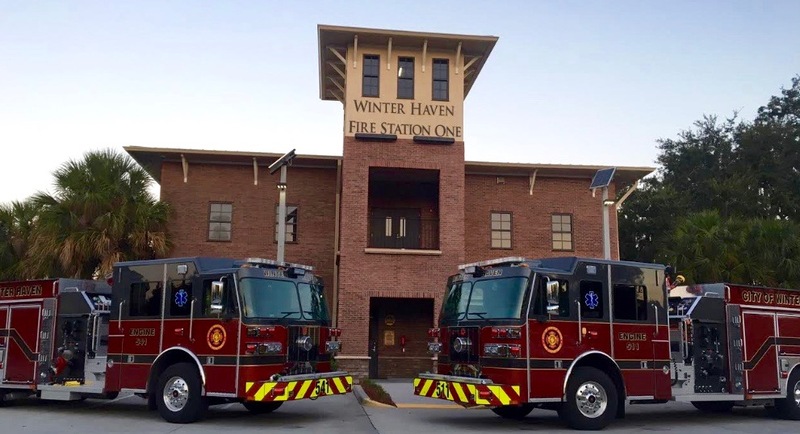 Although one machine is currently being utilized, the Winter Haven City Commission approved the purchase of six more, which means every frontline fire truck in the Winter Haven Fire Department fleet will be equipped with the device. The cost of each machine is $16,127; a small price to pay when someone could benefit from the device. Since the City started utilizing the machine in November 2018, 19 citizens ranging in age from 40 – 91 (median age of 65) were in cardiac arrest when the LUCAS device was utilized. Of those patients, 15 had a return of spontaneous circulation and 4 of those patients were discharged from the hospital, with (as of 3/28/19) 2 remaining in the hospital for treatment. Although the concept is not new, the devices now are much lighter and can quickly be set up giving optimal time for chest compressions and allowing the medics to focus on the patient’s other needs. In fact, as soon as the first responder applies the machine, the patient will get continual compressions only pausing for pulse checks, even while being transported out of a house, down stairs or loaded into an ambulance. Before the LUCAS Machine, the medic would need to temporarily stop chest compressions, which could cause valuable time lost in the ultimate treatment of the patient.